Eng. 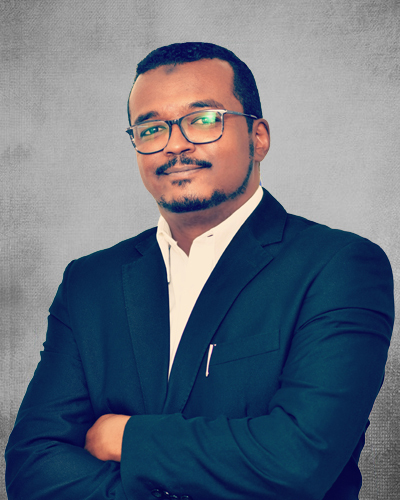 Ayman Hassan has more than 14 years’ experience in the ICT field covered many technical positions and engineering roles with solid Telecom and Data communication base. Since joined Canar in 2005, he is considered one of the first team who participated in building Canar network by occupying many positions started from the IP Network team and then headed the section as Manager/Internet and Data Services. In 2015 headed the O&M department, then headed the Planning & Projects department, and now occupying the position of Acting/ Chief Technical Officer. During his employment in Canar Telecom, Eng. Ayman was one of the key players who built Canar IP network and contributed in the success of most of the projects in addition to his participation in designing and profiling the services of the Internet and connectivity for customers. As well, this is beside the national projects such as Sudan Internet Exchange Point. Eng. Ayman holds a B.Sc. in Electronic Systems Engineering – Telecom Major from Bayan College for Science & Technology.